In a surprise move, the Kickapoo Traditional Tribe of Texas has withdrawn its opposition to a planned Eagle Pass coal mine that opponents allege would pollute the area's air and water supply. In what the leader of an environmental group said was a surprising and stunning blow to an effort to stop a Mexican company from mining coal on the border, an American Indian tribe has backed out of the fight. The Eagle Pass-based Kickapoo Traditional Tribe of Texas has officially withdrawn its opposition to a permit application filed by the Dos Republicas Coal Partnership, which seeks permission to mine low-grade coal from approximately 6,300 acres of land in the border town. The coal will not be used in Texas, however, but instead shipped to the Mexican state of Coahuila. Joining Baxter’s group in opposition are the city of Eagle Pass, the Maverick County Commissioners Court and the area public school and hospital districts. They charge that dust from the coal and discharge from the planned mine would pollute the air and water systems, and that blasting at the mine could lead to property damage. Officials with Dos Republicas have denied the accusations. 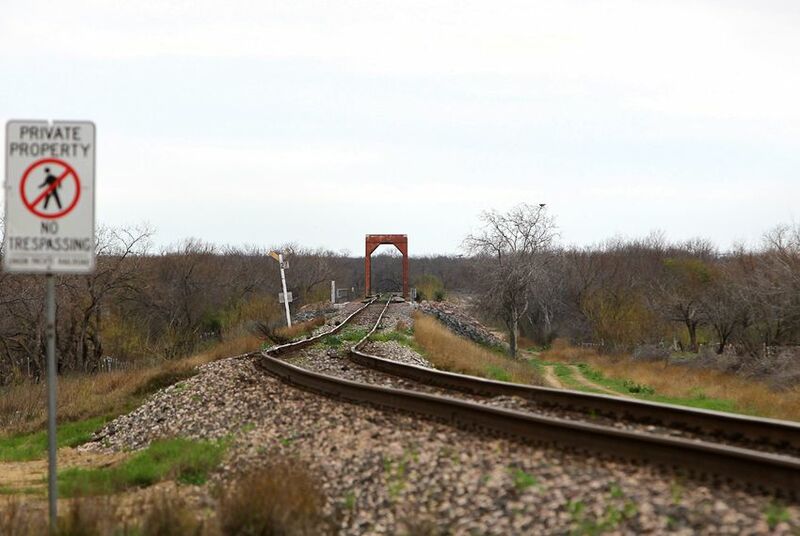 As of last week, the opposition coalition had collected and turned over more than 6,500 petition signatures from Maverick County residents opposing the project to the Texas Railroad Commission, which will decide on the permit. The commission’s hearing on the mine concluded this month after almost four weeks of testimony. Both sides have yet to submit written closing arguments to the commission, which is expected to issue a final decision this fall. Until less than two weeks ago, the tribe and its lawyer, Elizabeth Berkhardt, were major players for the opposition. Berkhardt presented some of the hardest-hitting objections, which more than once led to heated verbal exchanges with hearing examiner Marcy Spraggins. The abrupt exit has left Baxter wondering exactly what happened, and has fueled speculation in the border city as to why the tribe, which even offered an expert witness on air contamination but who never testified, would opt out. Neither Berkhardt nor officials with the Kickapoo Traditional Tribe of Texas returned calls seeking comment. Dos Republicas spokesman Rudy Rodriguez said the tribe opted out after speaking directly with mine officials. Aside from communicating with Berkhardt during the hearing process, Rodriguez said the Kickapoo did not have additional knowledge about the proceedings. Rodriguez instantly shot down any notion that the tribe had any financial incentive — specifically a land deal — to bring about the sudden change of heart. Asked if he knew how much the Kickapoo tribe had incurred in costs and whether that might have been a factor in its decision, Baxter said he could not speak to how the tribe was doing financially. He said, however, that it was the best-financed opponent in the coalition. Officials with Dos Republicas — which partners with North American Coal Corporation and subsidiary Camino Real Fuels, both based in Plano — have consistently fought off allegations that the project will hurt the community, saying it has and will continue to abide by environmental regulations and industry standards. The mine will also be a boon to the local economy, they argue. During testimony in February, mining officials testified that the project would create about 40 office positions and a workforce of 100 to 200 people, with wages for mine workers potentially being as much as $24 an hour. Opponents say those numbers are inflated and being touted only to label opponents as anti-job growth in an economically disadvantaged swath of the border. Baxter and his allies’ dwindling chances — which they consider long shots — are to submit written closing arguments to Spraggins by next month reiterating their opposition. The examiner will then have up to 60 days to turn over to the three-member commission a proposal for a decision. Both sides will then have one last chance to submit comments supporting or opposing the proposal. Dos Republicas has also applied for a railroad permit application to construct a railway to facilitate the shipment of the coal, which may also be used to haul beer from the Cervecería Grupo Modelo brewery in Piedras Negras, the Mexican town just across the border. Baxter and his group have also publicly opposed that project because it will facilitate the mine, although Baxter now thinks the end goal of the mine project was to help usher in the rail line.